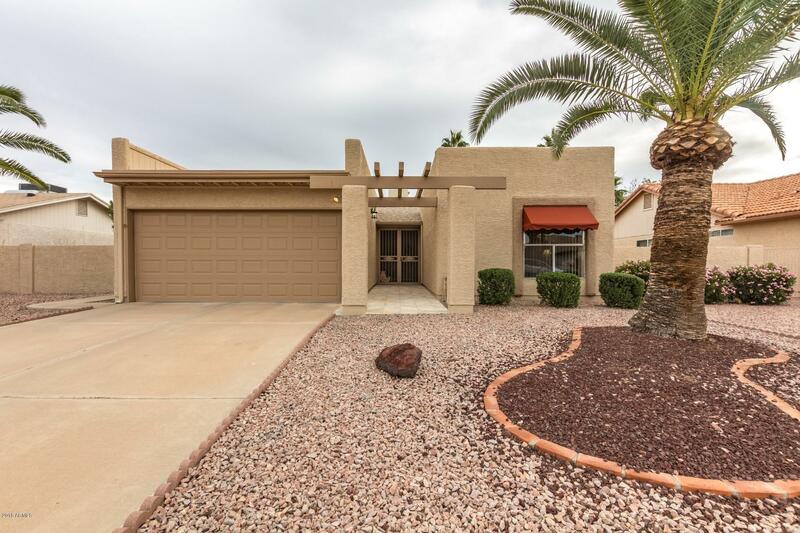 Beautifully maintained home in the Cottonwood Community of Sun Lakes. Open great room floor plan offers 2 bedrooms/2 baths. Newer diagonal lay tile floor in all the right places, and newer carpet in both bedrooms. Popcorn ceilings were removed and all new lighting/fans, interior and exterior paint. Master on suite offers barn door for privacy from bedroom to bathroom, updated shower and walk in closet. Sliding glass door exit from master or great room to enjoy the screened covered back patio. Easy care landscape by design at both front and back. Home is well maintained and will go fast, don't miss out!